Views on the Nydeggbrücke (January 2016). Bern was the halfway point of my quick, five-day trip through Switzerland. It was also the transition point from the French to German side of the country, as I had visited Geneva and Lausanne beforehand. Also written as “Berne,” this city is the capital of Switzerland, and it’s known for its UNESCO-appointed Altstadt (Old Town) in the heart of town. I actually didn’t spend too much time in Bern, for I’d planned merely to pass through it on my way to other cities in Switzerland. That said, I spent no more than half a day in the Swiss capital, before I had to catch my ride later in the day. 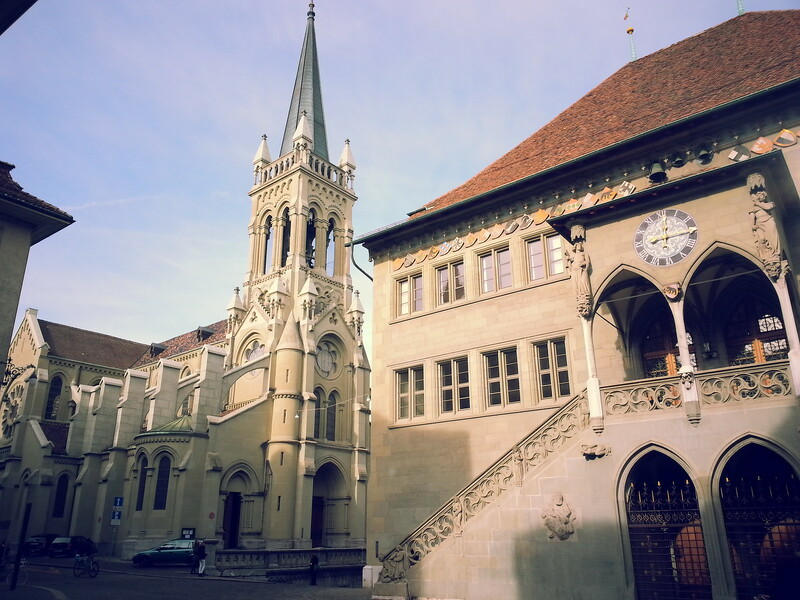 Looking back, however, I wish I’d given myself more time in Bern, just because it was so pretty! From Lausanne, I decided to take the train to Bern. Little did I know that I should’ve purchased my ticket in advance, because it was outrageously expensive when I bought it at the train station. One ticket cost 33 CHF, or about 29 euros, for an hour’s journey, which I couldn’t believe! Even worse, I’d bought the “wrong” ticket (i.e. non-adult ticket), and I got fined 50 CHF (44 euros) on the way over– not the best way to start off my day! Expensive trains aside, I reached Bern without much of a hassle. I hopped off-board, and I proceeded into the Altstadt, which was less than a five-minute walk from the train station. I passed under the Zytglogge tower, which had an astronomical clock that reminded me of the one in Rouen, France. Soon enough, I was in the Old Town, where dark, somber Gothic-like architecture greeted me as I strolled the cobblestone walkway of Kramgasse, the main street in Altstadt. Old Town with the Zytglogge. 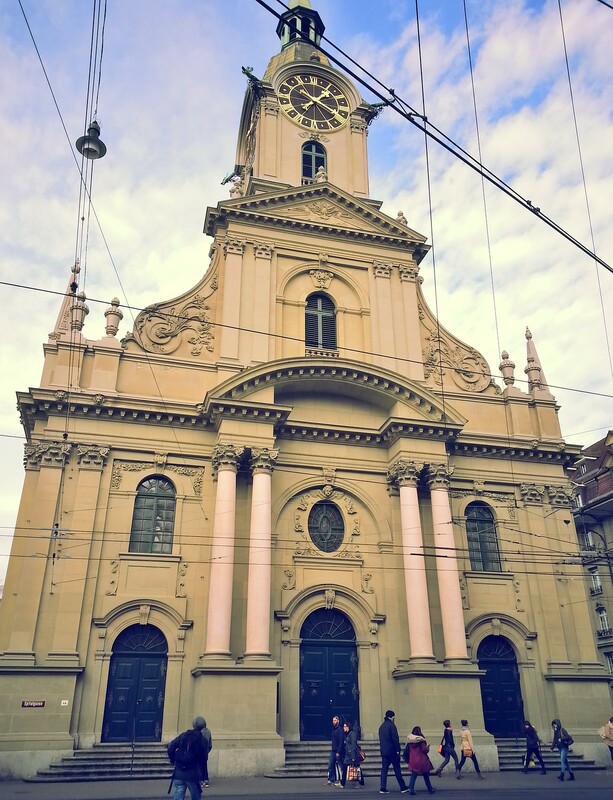 Cutting through to one of the side streets, I came across the Bern Minster. 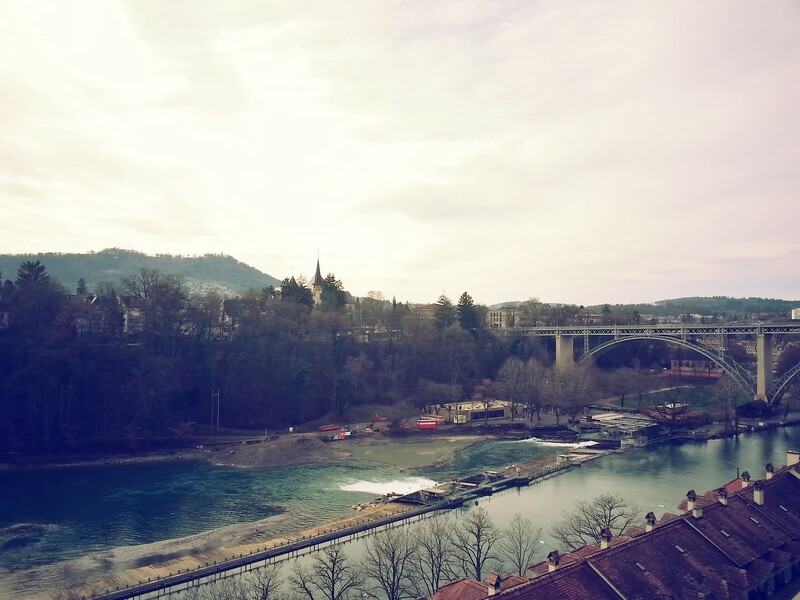 It’s the tallest cathedral in Switzerland, and I got overcast, but lovely views of the Kirchenfeldbrücke and Aare river, along with a hint of nature in the distance. Views from the Bern Minster. The weather cleared somewhat as I returned onto Kramgasse and continued to the end of it. From the Nydeggbrücke, I got really nice views of the 14th-century Protestant Nydeggkirche, along with the Aare river in front of it. I wandered a bit under the Nydeggbrücke on the other side of the Aare river, where I came across some small shops and cafes (including a cat cafe!). It was a quiet part of town, as it had a somewhat hidden location under the bridge and small, narrow streets. Soon enough, I headed back up and across the Nydeggbrücke back to the Altstadt, where I checked out a couple of the cool fountains on the streets. One of them included the Pfeiferbrunnen, a mid 16th-century fountain shaped in a bagpiper. It’s colorful, painted exterior stood out from other fountains in town, and it had a sizable amount of people crowding around it for a photo (or two). Just before heading back to the train station, I decided to pay a visit to the Church of the Holy Ghost. It was situated just a few meters from the station, which made it a convenient stop-by on the way back. Unfortunately, the church was closed for the afternoon, and it wouldn’t reopen until 14:00. I was to catch the next train close to then, which meant I wouldn’t have the time to visit when the doors reopened; I ended up skipping it and heading into the train station, where I purchased *another* expensive ticket (38 CHF, or 34 euros) for a one-hour train ride. Thankfully, it would be the last train ticket I’d have to purchase while traveling in Switzerland– otherwise, I would’ve gone bankrupt! Church of the Holy Ghost. My time in Bern had been short, being no more than four hours in total. I’m sure that I’d only barely scratched the surface of the city, but my time in the Altstadt was pleasant. 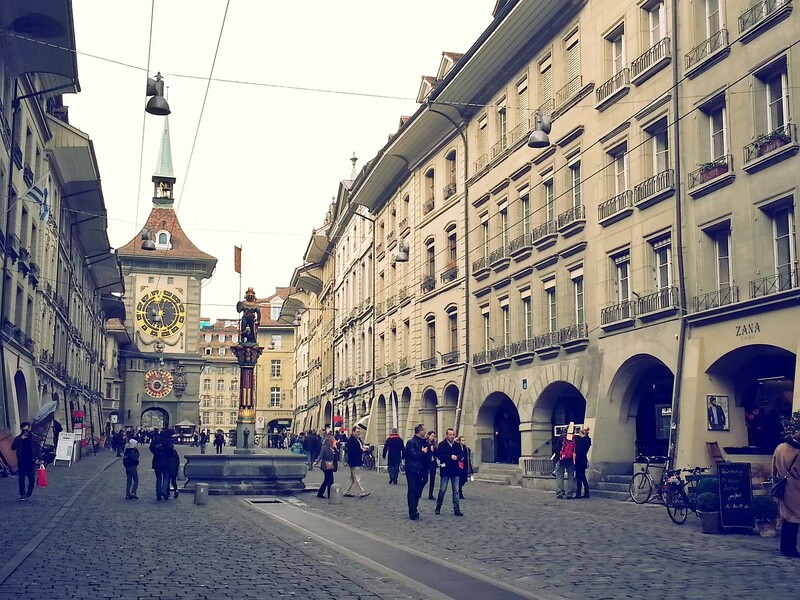 The Old Town was certainly very pretty, and it made Bern one of my favorite cities to have visited in Switzerland. 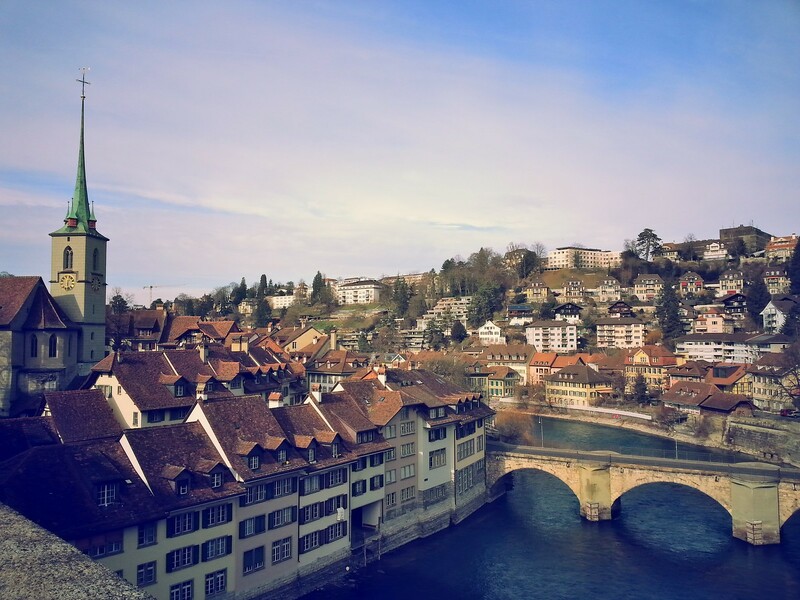 Coming up in my next post: Lucerne, Switzerland! Never been there. Thank You sharing Your post with us. Thanks for reading. Hope you can visit some day! Sorry to hear about your train episode. I’ve been fined in Switzerland too for buying the wrong ticket. Nevertheless, glad you got to visit Bern. I feel it’s quite underrated and most travellers to Switzerland give it a miss. I personally loved the place.